This easy-glide, quick-dry precision liner stays in place until you say when—no smudges, feathering, or running. The thin, marker-like tip is easy to use, even for the beauty beginner, and delivers any look (from a thin line to a bold, dramatic stroke!). 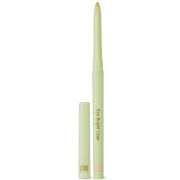 It goes on smoothly without skipping, smudging, or pulling, and lasts all day. Fine tip is super easy to use. Pull gently on the upper corner of the eye area to stretch and smooth the eye before lining with the Stay All Day Liquid Liner. This will make it easy to line and eliminate bleeding. Stay All Day Liquid Liner is the perfect product for creating glamorous cat eyes. The best cat eye can be achieved by extending the eye shape. Use the lower lash line as a guide and create the wing first. Then connect it when lining the rest of the eye. Also, as a good rule of thumb, begin to line upward at the second to last lash. "Pull gently on the upper corner of the eye area to stretch and smooth the eye before lining with the Stay All Day Liquid Liner. 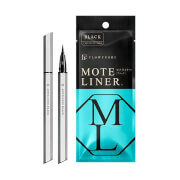 This will make it easy to line and eliminate bleeding.Apply the liner as close to the lashes as possible. In order to avoid a gap between the lashes and the lining, try painting the liner into the lashes using small feathering strokes. It is usually easiest to apply liquid eyeliner by starting at the area of the eye where the brush naturally falls. For right-handed women this is most likely a left to right motion; for left-handed women it is usually a right to left motion.Stay All Day Liquid Liner is the perfect product for creating glamorous cat eyes. The best cat eye can be achieved by extending the eye shape. Use the lower lash line as a guide and create the wing first. Then connect it when lining the rest of the eye. Also, as a good rule of thumb, begin to line upward at the second to last lash. Water/Aqua, Styrene/Acrylates Copolymer, Butylene Glycol, Beheneth-30, Sodium Polyaspartate,Phenoxyethanol, Alcohol, Methylparaben, Propylparaben, Sodium Dehydroacetate, Disodium EDTA, Acrylates/Octylacrylamide Copolymer, Sodium Hydroxide, Xanthan Gum, May Contain (+/_) Titanium Dioxide (CI 77891), Iron Oxides (CI 77491, CI 77492, CI 77499), Ferric Ammonium Ferrocyanide (CI 77510), Black 2 (CI 77266). Search no more girls, years of searching and buying all the top brands of a liquid waterproof eyeliner, I have finally found it with Stilla! Excellent product, so smudges, feathering or running. Not harmful to the eye when applied either. Stilla, I am here to stay with this eyeliner...best all around!!! !